The Pursuit of Lucy Banning by Olivia Newport was, for me, another little gift from Twitter. Recently I struck up a friendship there with a neighbor, Steve Reginald. Perhaps because I'm always yapping about how much I just love Chicago, and the South Loop in particular, he suggested that I check out the novel. The story is set less than a block from our place, so I was thrilled to take him up on his offer. Gratefully, I accepted his "welcome to the neighborhood" gift and prepared to travel back in time. It was a treat to read Olivia Newport's introduction to The Avenue of Dreams series. With its upstairs/downstairs story line, the novel happily filled the gap I've experienced since Downtown Abbey's hiatus. But Newport's novel was particularly fun because it relocated the "haves" and "have nots" right here to Chicago. The title character, Lucy Banning, lives in one of the beautiful late 19th century mansions on Prairie Avenue. Despite all the trappings of a high society life, Lucy has different dreams than those she is expected to pursue. Her curiosity and kindness result in an unconventional friendship with a young woman, Charlotte, who is hired as a cook in her family's kitchen. The friendship of the two women, though not the book's central relationship, was one of my favorite aspects of Newport's novel. I loved coming across buildings that I walk by daily on the pages of this novel. And I relished the chance to learn what every day life was like for the people who lived and worked in this area more than a century ago. The Pursuit of Lucy Banning served as a time machine of sorts. Though it's more likely I would have served in rather than lived in one of these homes, the book had me dreaming of formal meals prepared by a house full of servants ... ooooh, and someone to help me "dress" in one of my many fabulous gowns. I was thrilled when Newport agreed to answer a few questions so that I could share a bit more about the book and how it came to be. 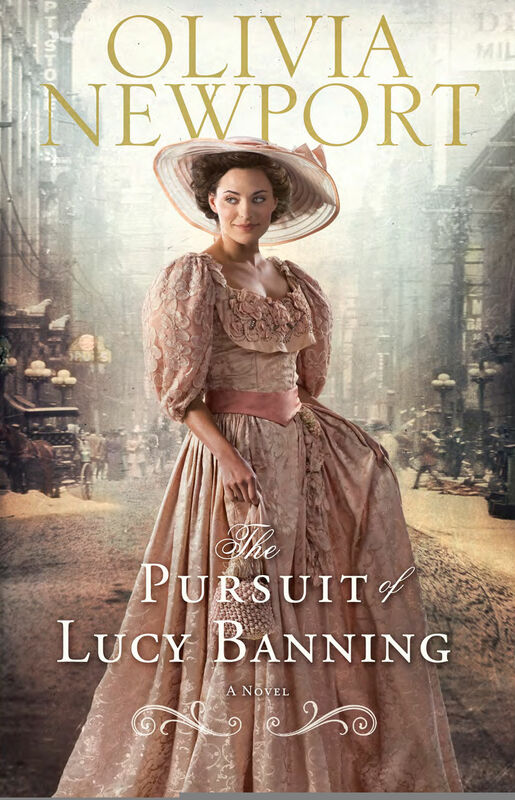 The Pursuit of Lucy Banning is your first novel. Tell us a little bit about the road that brought you to writing this novel. For more than two decades, the blessing of work has come through jobs that valued my ability to smith words. I wasn’t writing novels—despite the stampede of characters in my head—but I was learning to write for a purpose, write to a target, and write under schedules. Even though my name did not show up in public ways, I was writing. I’m a better writer because of those years. Eventually I did write novels—I have the stack of manuscripts to prove it. These stories were not ready for publication, but they were not wasted effort. Pages sequestered in black binders at the back of my closet whispered to me that I can finish a novel. After years of writing whatever an employer assigned to me, I was ready to put my heart into my own stories. This is the first in a series of novels set on and around Prairie Avenue in Chicago. Do you have a personal connection to the area? I have suburban Chicago roots, but I had not heard of the Prairie Avenue Historical District until a friend of mine, Steve Reginald, became a docent at the Glessner House Museum on Prairie Avenue. I wish I had known about it years ago. I was instantly smitten, for instance, with the notion that the Museum of Science and Industry, a favorite place of mine growing up, was actually part of the world’s fair in 1893. I have actually stood where Lucy stood! I love that. Were you a scholar of this special time period in Chicago’s history before writing the book? Absolutely not! And I don’t consider myself a scholar now, though I realize my research has yielded far more bits of trivia than the average person has—or is interested in. Understanding more of Chicago’s history helped me understand more of our national history. I imagine this would be true of many cities. In your research, what was the most surprising thing you learned about the area or the period of time in which the book is set? We still discuss in our public forums the question of immigrants—how and why they should be allowed to enter our country, and how they will become part of us. I have been in Chicago enough over the years to appreciate the distinctively ethnic neighborhoods that still exist because of the influx of immigrants in the late nineteenth century. Researching the time period raised a lot of questions that interested me about the place of immigrant labor in Chicago industry. On the one hand, in those days immigrants were grateful to be here and gobbled up low-wage demanding jobs. On the other hand, immigrants contributed to the labor force in such numbers that they were bound to be caught up with the labor movement. Many aspects of employment regulation that we take for granted now came to be during this volatile period. I don’t know how surprising that should be, but it has made me stop and think quite a bit. Lucy is a very progressive woman for the time in which she lives. What or who was your inspiration for her character and the decisions she makes? I did not have a specific inspiration for Lucy. Rather, in developing her character I hoped to braid together several social strands of the time—the place of women, the contrast of the rich and those who kept them comfortable, the overwhelming issue of orphans as the city’s population burgeoned. Chicago was on the cusp of change in the 1890s, and Lucy’s decisions represent a range of questions that the population had to sort out. As the Avenue of Dreams series continues will we see how the Lucy/Will/Daniel story unfolds? Or will other characters take center stage? Lucy and Will are present in books 2 and 3, but not as the characters with a primary story arc. Readers will get the satisfaction of knowing what became of them and how they are doing, but also move on to other characters. The second book, The Dilemma of Charlotte Farrow, is due out in January and unfolds some of the mystery of what brought Charlotte, the maid, to Prairie Avenue. In that book, I also introduce Sarah Cummings to the Banning household for the first time, and her story is the main focus of the third book. Poor Daniel, I’m afraid, remains in an undisclosed location waiting for his mind to heal. 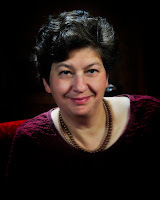 Olivia Newport is the author of The Pursuit of Lucy Banning and the forthcoming Accidentally Amish (October 2012) and The Dilemma of Charlotte Farrow (January 2013). Her husband and two adult children provide welcome distraction from the people stomping through her head on their way into her books. She chases joy in stunning Colorado at the foot of the Rockies, where daylilies grow as tall as she is.